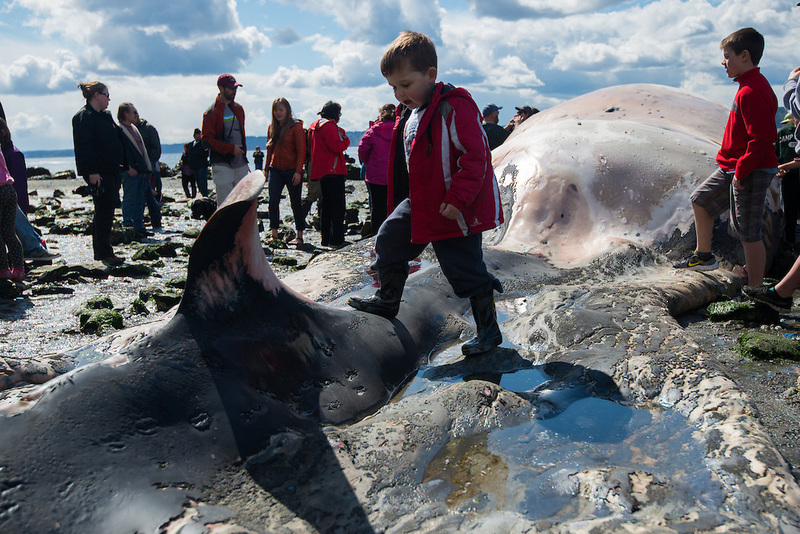 Crowds surround the remains of an endangered fin whale (Balaenoptera physalus) on the beach at Seahurst Park in Burien, Washington, USA. According to Cascadia Research, the whale was killed by a strike from a large ship. Fin whales are the second largest animals on the planet, and seldom make their way into Puget Sound. 52 feet of the whale remained intact, while scientists estimate the leviathan was over 65 feet long before its demise. Photo by William Drumm, 2013.